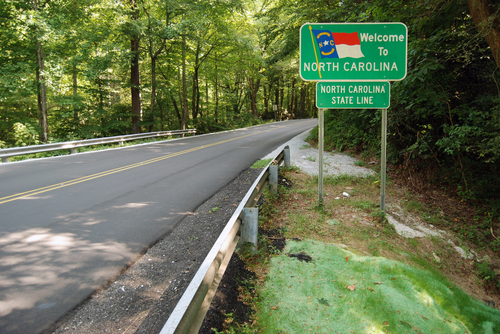 North Carolina’s House of Representatives Aug. 3 introduced a plan to increase transportation funding for the state that combines elements of separate plans introduced by the state Senate and Gov. Pat McCrory (R) earlier this spring. House leaders said their package would generate $4.155 billion for infrastructure maintenance and repair. The proposal would eliminate transfers from the state’s Highway Fund to programs not directly tied to construction costs—including the Highway Patrol and driver’s education—for $1.296 billion over the next six years ($216 million per year). Additionally, the plan includes a request for voter approval of a $2.85 billion bond for infrastructure projects, with $400 million of that amount allocated to ‘shovel ready’ road and bridge projects. McCrory announced April 17 his plan to provide necessary infrastructure improvements by issuing $2.85 billion in bonds, with $1.37 billion designated for state roads. While promoting his “Connect NC” plan to improve the state’s infrastructure, McCrory highlighted the benefits of jump-starting several ‘shovel-ready’ projects with these bonds, and stated that historically low interest rates present a good opportunity to utilize bonds for construction. The Senate expressed resistance June 15 to bonding, voicing concern over increasing the state’s debt and the long-term cost of paying back the bond. Instead, leaders proposed eliminating transfers from North Carolina’s Highway Fund and increasing spending on road projects by an average of $130 million per year for the next 10 years. The House plan is anticipated to be approved quickly, after which it will go to the Senate for consideration. McCrory released a statement expressing support for the House’s plan the same day it was introduced.